We know you're always looking for the perfect place to shop and LAPregnancy found the spot! Created by two sisters who love to shop for their kids and said, "we would have the best time owning our own children's store" and so they do!! EmmyandAlly.com was conceived in April 2004 and it's going strong!! What's their goal??? To create the ULTIMATE children's store which appeals to your sense of style, practicality and affordability. They shop for their children and yours and LOVE what they do! And it sure shows!!! 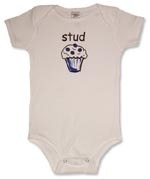 Check out EmmyandAlly.com today for their assortment of adorable mother, infant and child gear!